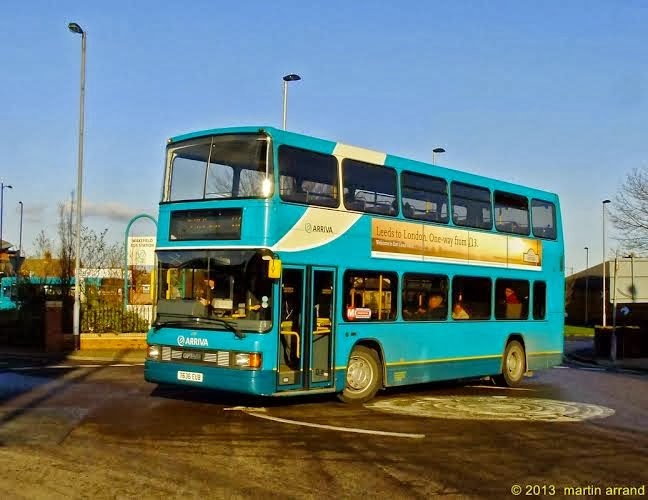 With the news that Stagecoach have taken over Norfolk Green, we note that nine of the double deck vehicles are Optare Spectras. The large groups have tended to dispose of most of their Spectras but a few still hang on in service with other operators. One Spectra has appeared in service with Arriva North East and is taking its turn on the wide range of services in and around Ashington and Newcastle upon Tyne. The vehicle is registered V641 KVH and is numbered 7483 in the north east fleet. It is seen above picking up in Ashington on route 20 to Amble. 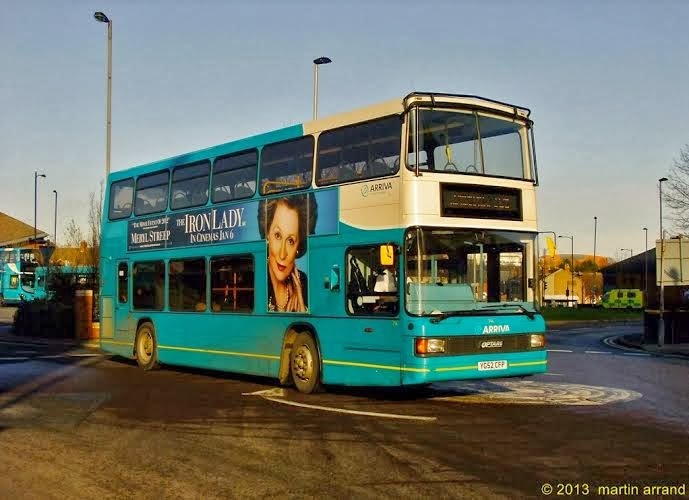 The southern part of this route is numbered X20 and is a fast, limited stop service which is covered at flat out speeds so the V registered vehicle is certainly earning its keep. The Spectra sets off for Amble as a sister vehicle DAF DB250RS Alexander ALX400 Y481 UGC arrives in Ashington on the southbound 20 service. The DAF will pull into the bus station and then become the X20 to Newcastle. 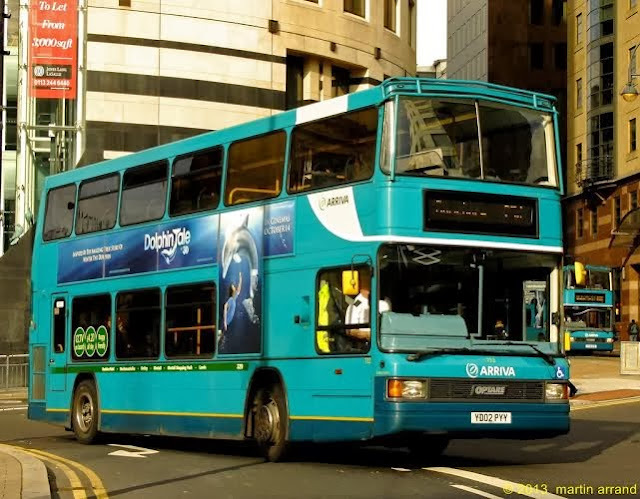 Martin Arrand has supplied pictures of other Spectras in service with Arriva, the ones below in service in West Yorkshire. How many other Spectras are still in service with major operators? Please send us your pictures..